WHAT ARE THEY? DO I NEED THEM? We have the experience, expertise and personnel to train and educate your staff in the correct and safe procedures should an emergency occur. 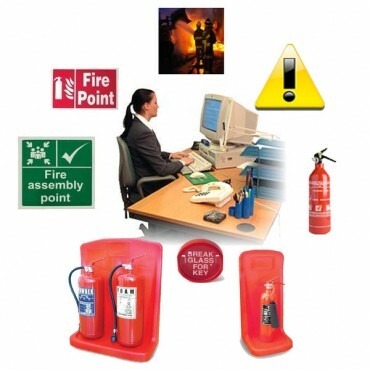 London Fire and safe offer onsite staff training in the procedures to be followed in the event of a fire. This includes use and identification of the equipment specific to your site. This training takes approximately one and a half hours to complete and is required to be done under the Regulations every 2 Years. London Fire and safe can assist of these mattaer ensure yout compliance Written Emergency Management Plan (Fire and Evacaution Plan)? A site specific Emergency Management Plan ( Fire and Evacuation Plan ) is required in all businesses in Queensland. The Plan needs to comply with specific criteria found in the Regulation and should also comply with AS3745 – 2010 and AS1851 - 2005. The Plan needs to be reviewed and updated annually. Requirements exist for an Evacuation Coordinator at each site and training of all staff on fire safety from the Plan. Creation of an Emergency Planning Committee (where required) and advice to the Emergency Planning Committee on control measures for safety of occupants during fire and hazardous materials incidents. London Fire and Safe can assist with all of these matters. General evacuation instruction that is site specific is required for all staff within 2 days of starting then every 12 months. This training includes the location of all fire safety related items in the building, how to exit the building, location of exits, location of emergency equipment and how the emergency control process works in the building. First response evacuation instruction that is site specific on the operation of emergency equipment in the building and must be conducted with 30 days of starting and at least every 2 years. (The general and first response training can be conducted together). Evacuation coordination instruction/training is required annually (Warden and Chief Warden training) on site and is site specific. Evacuation exercises required at least annually, more often if site has risks that needs it. London Fire and Safe can assist with all of this training. All high occupancy buildings (where 30 or more employees are normally employed) or a building that is at risk of overcrowding, are required to appoint a Fire Safety Advisor (FSA). This FSA is required to be qualified with a fire safety qualification nominated by the QFRS (currently 8 competencies). London Fire and Safe can be the appointed FSA for your property. All training conducted and maintenance of fire safety installations must be records kept for 2 years on site with the Emergency Management Plan and off site. London Fire and Safe can keep all of the records off site to satisfy this requirement. The records on site and the Emergency Management Plan/Fire and Evacuation Plan need to be kept in a fire resistant cabinet. London Fire and Safe can provide these cabinets to suit your business size and needs. New evacuation signs and diagram requirements along all evacuation routes. London Fire and Safe can provide these new signs and diagrams to ensure compliance. All prescribed fire safety installations on site must be maintained to the relevant Australian Standard and appropriate records kept to the standard format prescribed in the Regulations. London Fire and Safe maintains fire safety installations and can ensure your compliance.